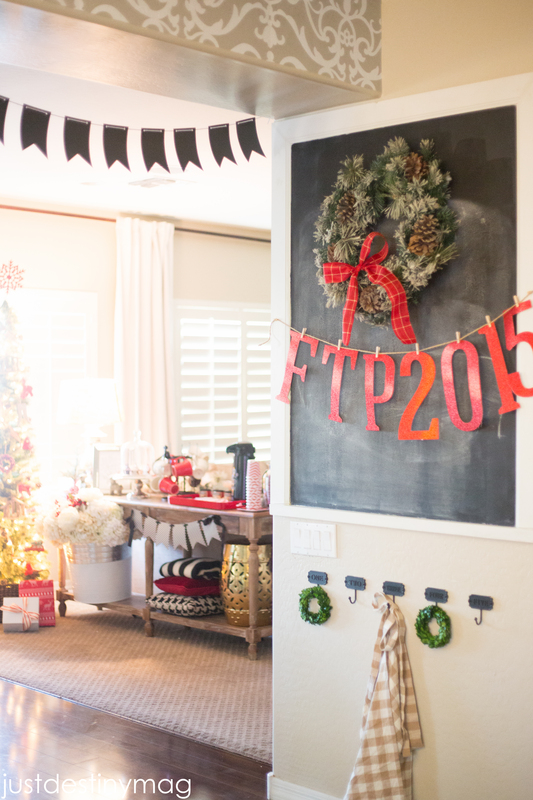 Today I’m sharing the detail of my annual favorite things party! 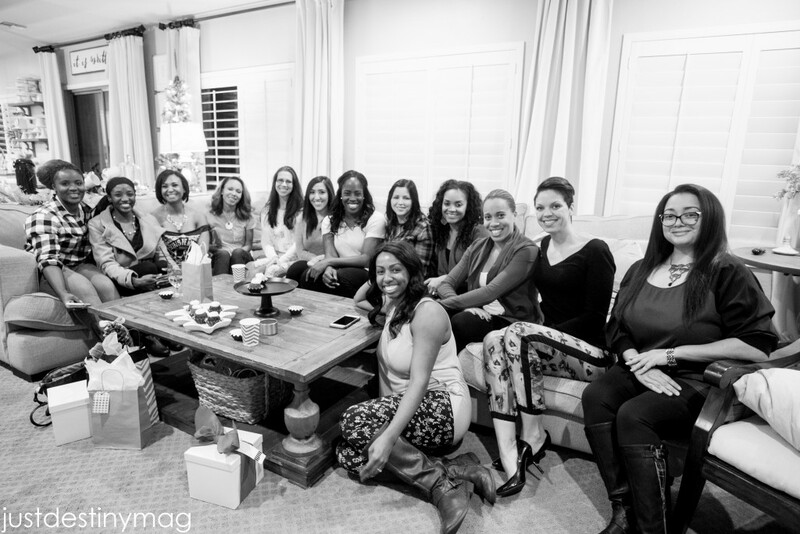 Each year I get my girlfriends together for a fun party called ” Favorite Things” I orginally got the idea from OPRAH! Of course right? I wanted to be apart of her show so bad that I made my own small scale party that has been a favorite of ours for years. See how the party works here. This year I decided to make it a craft theme. So I had each girl bring 13 of the SAME favorite crafting supplies. 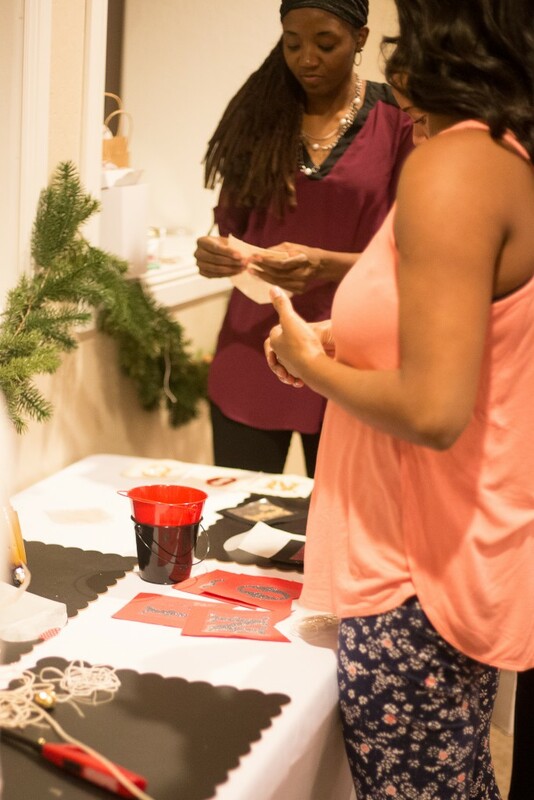 Then after everyone gathered their gifts we would end the night with some holiday crafts for thier home! I honestly thought it would be a lot easier than it was! ME a girl who crafts all the time had the hardest time picking out something! Mostly because I thought someone else was going to get it! 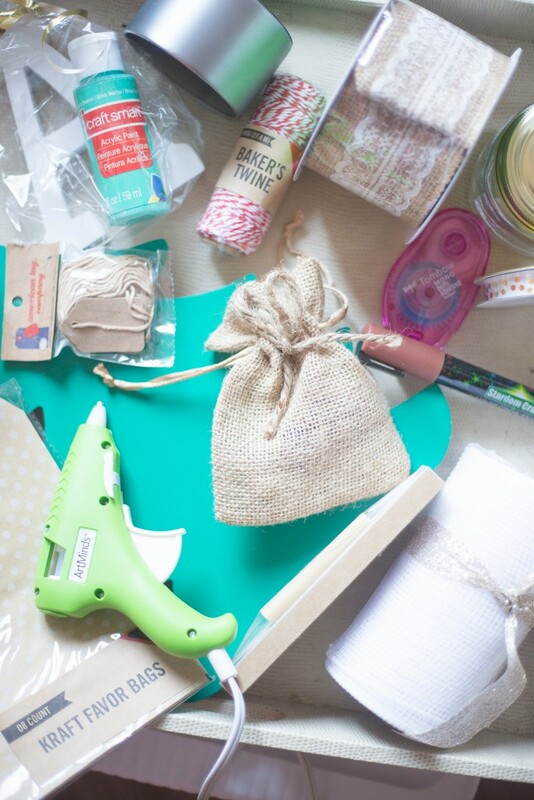 We all shared the same stresses, so we will NEVER do another craft theme…haaaa! But the actual crafts we made were super fun so I think we will do that again! 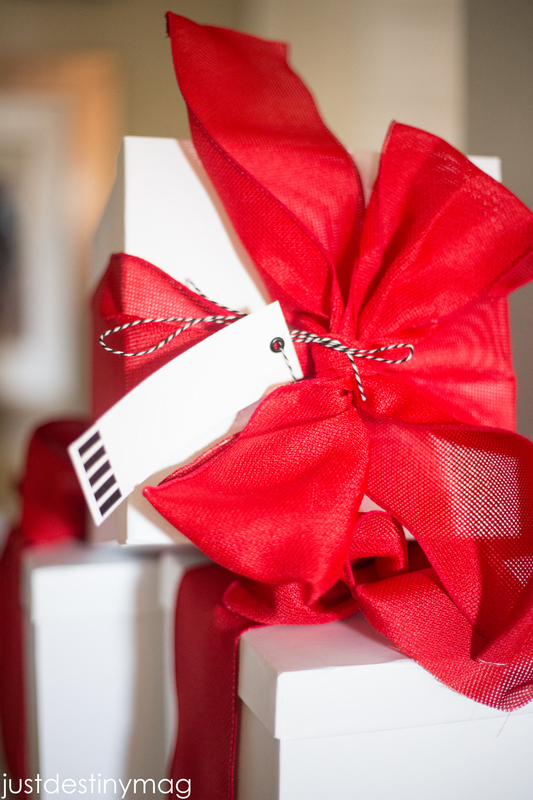 I packed all my favorites for my girls in these simple white gift boxes. I had storage in mind when I did because not everyone has an entire room to craft in. It’s usally something they pull out when the time to craft comes. So I thought this would be a great little box to store all of their small crafts in! I even tied them with some embossed name tags that I made with my new Curio machine. They all really seemed to love that detail! 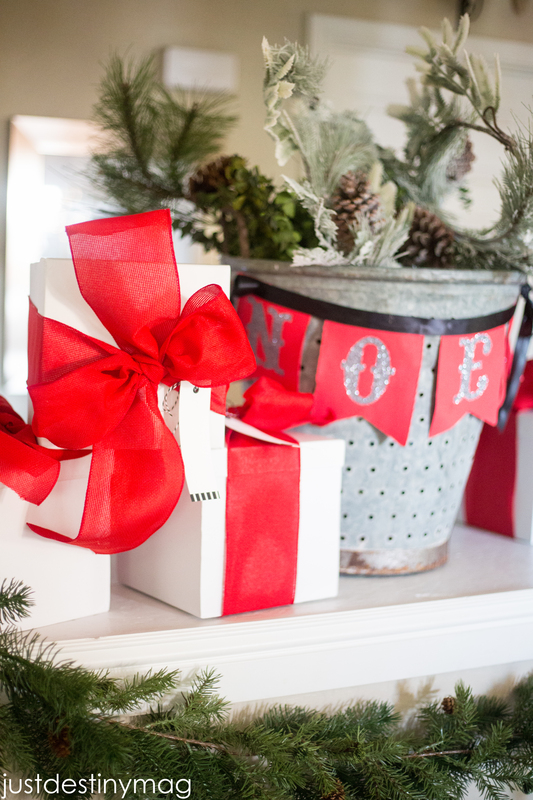 Something about personalizing gifts makes anyone feel special! 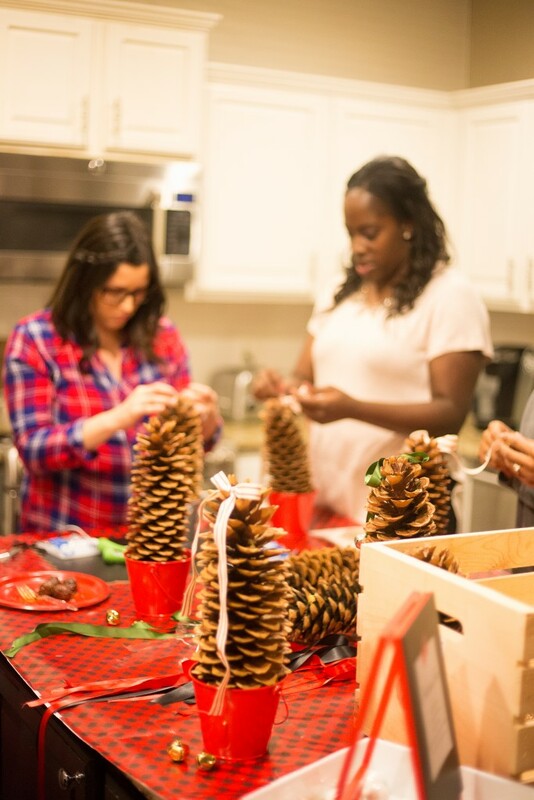 One of the crafts I ended having the girls make were these pinecone trees I talked about a couple of weeks ago. 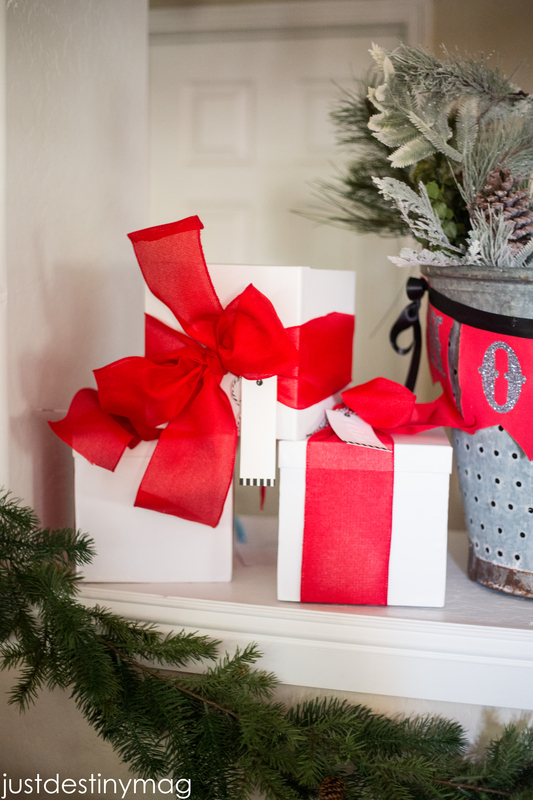 Super simple and such a festive touch during the holidays. 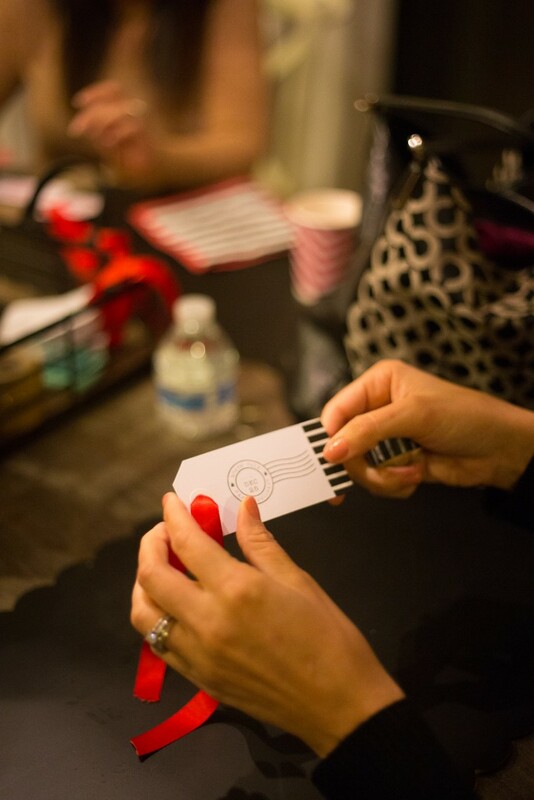 The girls also got to make personal gift tags! 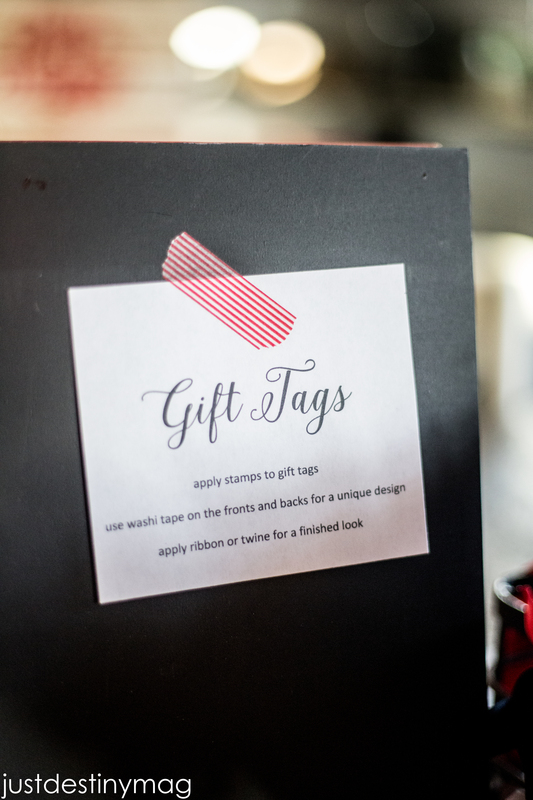 We used washi tapes in all sizes, empty tags, ribbon and stamps! My favorite one was this self inking deer I made using my MINT. You guys know how I feel about that MINT machine. 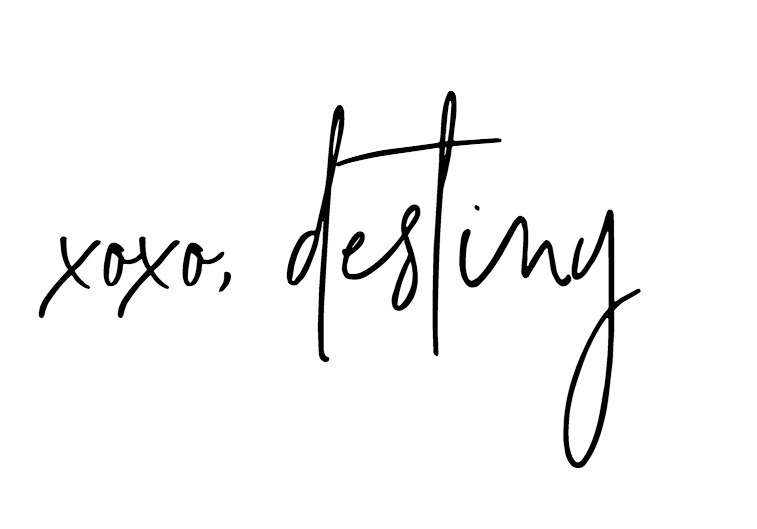 Personal stamp love. 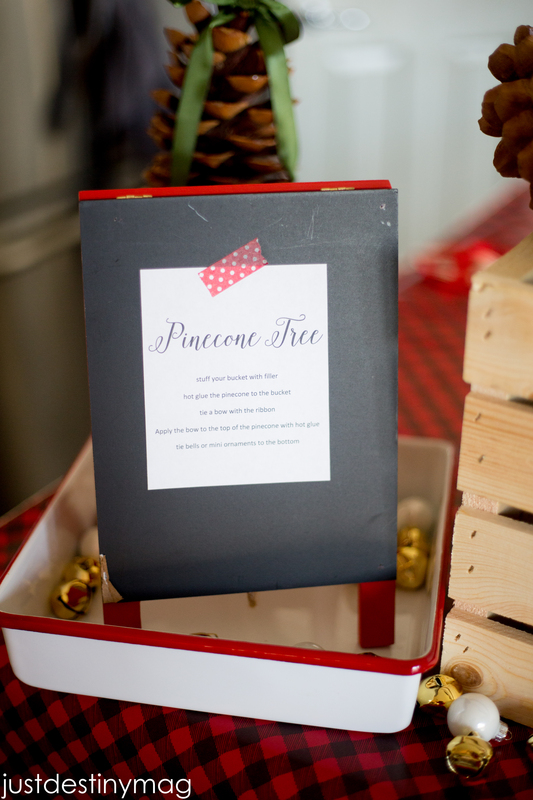 This one was my favorite of the crafts! 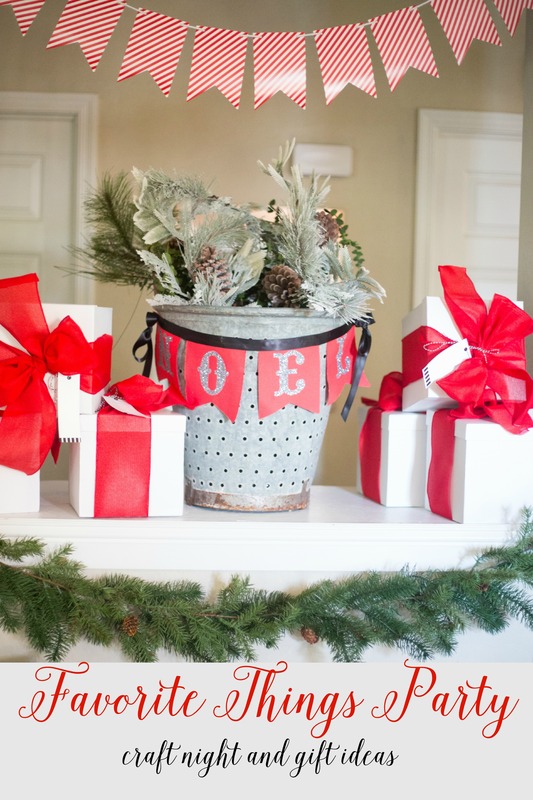 This simple banner was made using pre cut canvas bunting and iron glitter letters cut from my Cameo Machine. Learn how to do it here! In each of the girls boxes I had 4 flags plus NOEL already precut. 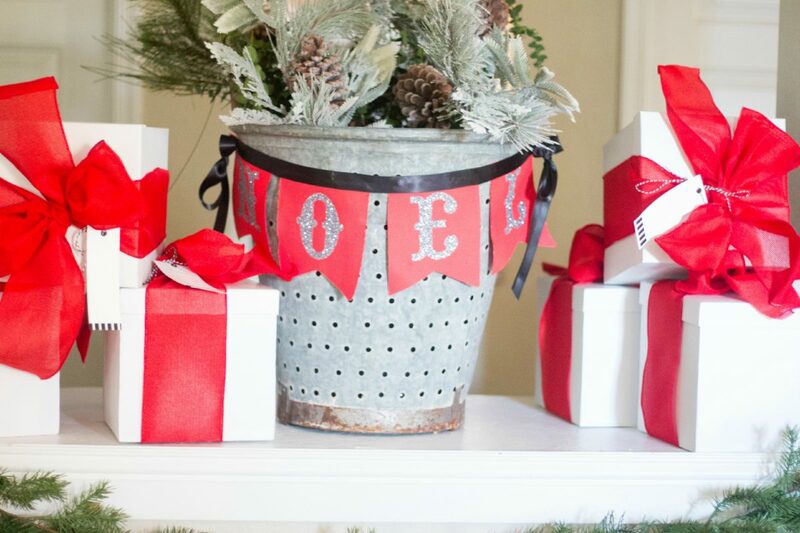 All they had to do was iron on the letter and add what every ribbon they wanted! I pre made these color combinations. 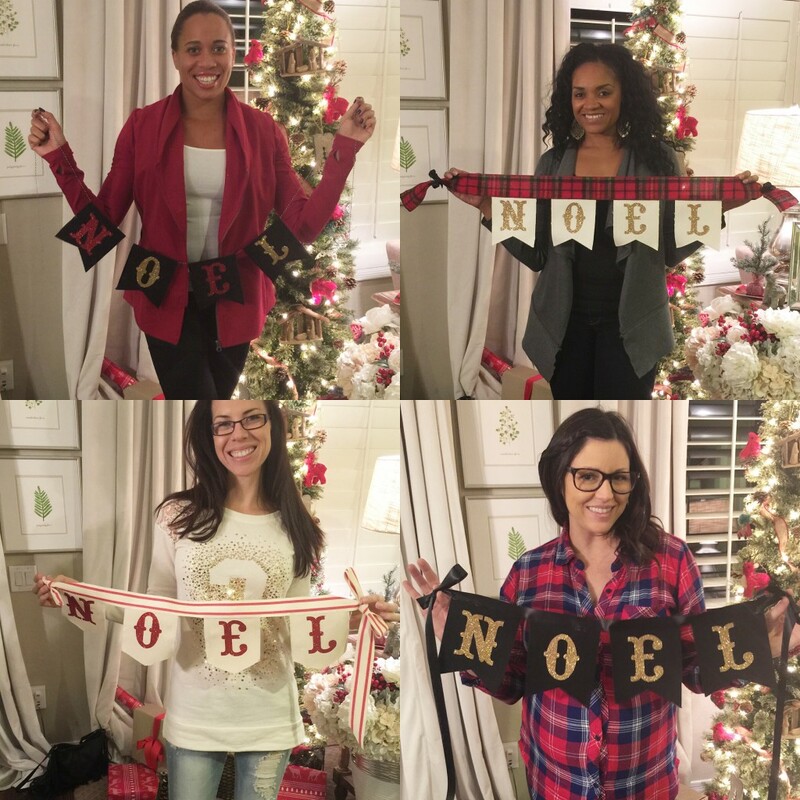 Some of the girls traded to match thier home decor and some even switched letters! They did such a great job putting them together. I reminded them to make sure the banner said NOEL and not LEON….hahah! But we did have some mess ups…haha! 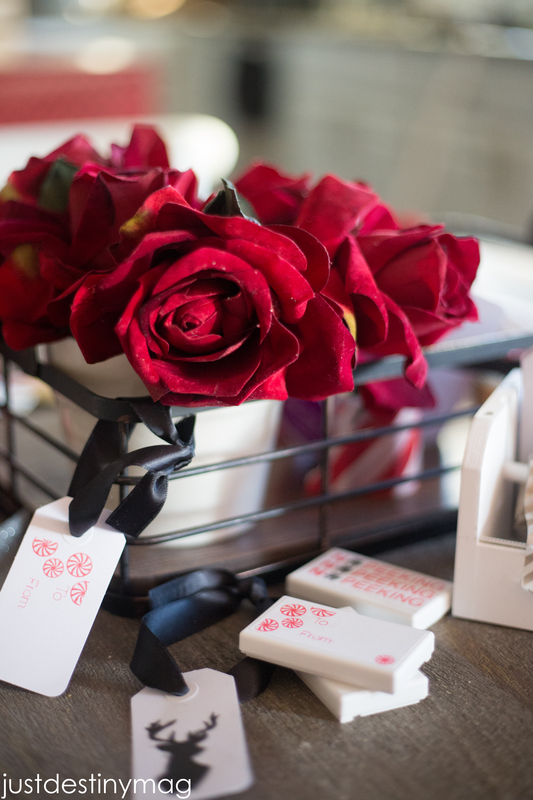 Here is a shot of the craft loot we got! So thankful for these girls!!!! 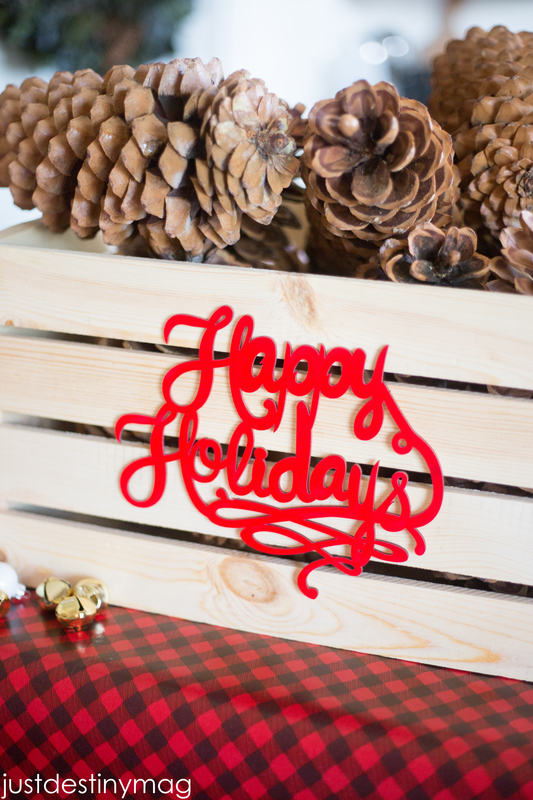 We have such a fun time each year and this party brings us all together! With busy schedules and fast moving lives, I know we all appreciate the good time we have!